It would be a mistake to view President Obama’s visit to Israel as just a fence-mending exercise. It is in fact part of a planned redesign of U.S. foreign policy that will change the face of American leadership around the world. The redesign began with the appointment of John Kerry as Secretary of State and Chuck Hagel as Secretary of Defense. Both complement Vice President Joe Biden, and the president’s new chief of staff, Dennis McDonough. All of them, I believe, share a keen understanding of what it means to live in a world of seven billion interconnected people, in an age where the basic equation of geopolitics, that superpower equals ultimately getting one’s way, no longer holds. The next stage of the redesign is now being rolled out with strategies to deal with today’s five key foreign policy issues: Syria, Iran, North Korea, the Israeli-Palestinian dispute, and the end game of the U.S. military involvement in Afghanistan. Each is a ticking time bomb loaded with unforeseen consequences for U.S. national interests around the world, for America’s fragile economic recovery, and for a military still recovering after a decade of non-stop wars. None of these issues lends itself to an America-only resolution. All five require the support and active cooperation of Russia, China, Israel and Turkey. That is why the president has moved aggressively in the last two weeks to remove impediments to better relations with each of these countries. Russia is Syria’s benefactor and also the key to unlocking an alternative route for the removal of U.S. military assets from Afghanistan. Although the Pakistani port of Karachi is the shortest route out of Afghanistan the United States cannot afford to predicate its military exit solely on the on-again, off-again goodwill of Pakistan. American-Russian relations have suffered because of the U.S. plans to deploy an anti-missile system on the borders of Russia. To be set up in four phases through 2020, this battery of anti-missile weapons is being rolled out to protect Europeans from Iranian missiles. But the Russians have never seen it that way. They see it as an American attempt to weaken the deterrent effect of Russia’s long range nuclear arsenal. Although the Russians object to the entire anti-missile project it is the project’s fourth phase, in which sophisticated interceptors would be deployed in Poland and perhaps Romania, that is of particular concern to them. Secretary of Defense Chuck Hagel announced last week that this phase will now be abandoned. There were technical and funding reasons that also contributed to the decision, but a major irritant to American-Russian relations is now off the table. Relations with China, already tense, plummeted with the announcement two years ago of America’s “pivot to the East.” The Chinese interpret this phrase as a signal that the United States views China as a potential military competitor. The United States has tried to explain that the pivot is not really a pivot citing America’s century old presence in the Pacific and Asia. But to no avail. President Obama’s visit has already borne fruit. Before Obama left the country Israel had apologized to Turkey for the 2010 killing by the Israeli military of Turkish citizens on the flotilla headed to Gaza to break the Israeli-imposed blockade. Within hours, the apology led to the re-establishment of diplomatic relations between Israel and Turkey, two of America’s closest Middle-Eastern allies are again its partners in dealing with Syria and Iran. 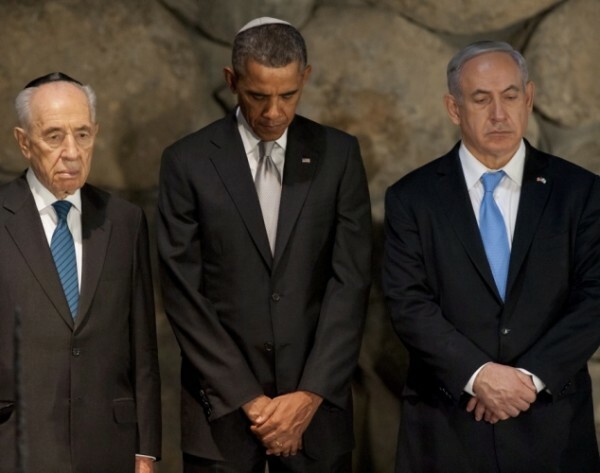 I predict that a thaw in the Palestinian-Israeli relationship will be the next result from the Obama visit to Israel. Is this wishful thinking? Perhaps it is. But if I am correct in believing that both Israelis and Palestinians are finally convinced that nothing can shake the bond between the United States and Israel, reality will drive both sides to a bargain. To increase the odds of this thaw Vice President Biden, who accompanied the president to Israel, has stayed on to strengthen the initiatives launched by his boss. If this be the first act of the McDonough-Biden-Kerry-Hagel foreign policy team’s debut, all I can say is bravo! Pedal to the metal gentleman, and God speed! Sarwar Kashmeri is a fellow of the Foreign Policy Association. He is adjunct professor of Norwich College, and a senior fellow at the Atlantic Council’s Brent Scowcroft Center for International Relations. His most recent book was NATO 2.0: Reboot or Delete? You can find the original article at the Huffington Post, which was reposted with the author’s permission.